I had been packing towels & plastic over the "wings" at the sides of my air conditioners to keep out the cold air all winter. These helped immensely. In the summer we enjoy better air conditioning results because they keep outdoor heat away. Works great, Held up even during some heavy wind storms. Side insulating panels for air conditioner. The air conditioner was put in before we moved in and they used just plain cardboard to insulate the sides of the air conditioner. The insulating panels work great. 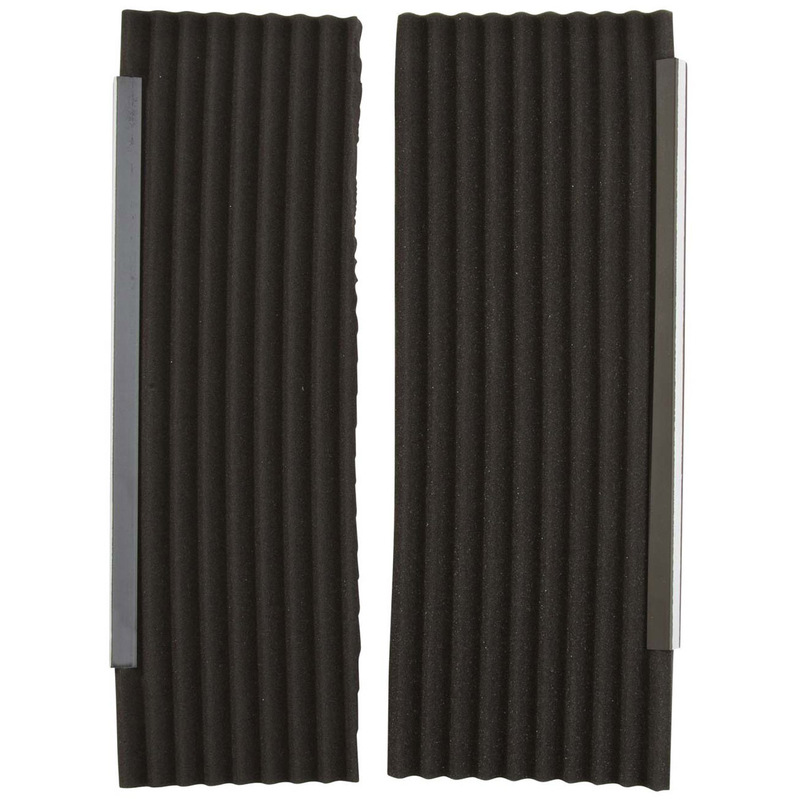 They provide protection from the elements outside and address the issue of escaping cool air. Easy to install. Very efficient. Works very well, and looks good at the same time. Easy as stated to use. Very thick and sturdy. Would buy again. Great at blocking out the sweltery heat of summer in chicago! My bedroom air conditioner is an older model and in great shape, though the side panels had fallen apart with age. I couldn't replace them and was afraid I'd have to replace the air conditioner. A friend saw the foam panels in the Miles Kimball catalog and I decided they were a good bet for the price. They work beautifully--just what I wanted. This is the second year for them, and they are certainly extending the life of the air conditioner. Finally something to fill in on those broken accordion sides to an air conditioner. Excellent idea and works great so far. Left air conditioner in window. These keep the cold air out in winter. The instructions are easy to follow, just READ them before you start. I'm not at all good at installing or putting things together, but I didn't have any trouble. Keeps the light out and insulates the sides, but have to come up with something for the top. I use an insulated curtain hemmed to fit the window. This product has adhesive on one side so it will stick to the air conditioner but does not stick to the window frame. It can be cut to fit into the window space. It is very good at keeping the hot air out and the cooler air from the air condition unit inside. I haven't installed it yet, but I know it will keep the winter winds outside and not rushing into my dining room like last year! It was not wide enough for the window unit. It was smaller than expected. We had a small window unit and the expansions that came with the unit do not go all the way across to the window sides. We needed to add additional foam. It is too early to judge efficacy because we have just started summer use of the AC unit. I would not buy this product again.It was to flemmsey !! I've looked at these for years. I usually use plastic bags but being old, decidedly on simplicity. I needed these & couldn't find them anywhere else. My window AC is staying in this year, so I am needing to block the drafts that come in along the window area. looked like what I need. We needed something to help cover our a/c covers to keep cool air in and outside air out. I was finding bugs near the air conditioner unit and thought this might help to keep them out. Thought they would be good for my window air conditioner. Seemed to be best quality item I could locate..good price with promo. Good pricing and I did not see this item anywhere else. I have an air conditioner which it doesn't cover the whole window and the wind and dust enter through the window. never got this product ! To keep the panels covered and free from dust and dirt. Block out the air from outside. My air conditioner stays in the window through cold snowy winters and I need additional insulating. Hoping it will help to keep out insects and any hot air that can seep in. Bugs, moths, and spiders get in through the sides. Hope this will help. my air conditioner side panels are old and have small hole , this panel will help. To close up spaces around my air conditioner. It seals the little cracks and air spaces. It's looks better then duck tape. Needed something that would keep out hot air and insects. to help keep out the black dust that comes in from the street. My room is cold. I choose to keep my air conditioner in to utilize the fan in the winter. I am a smoker. Is there adhesive on both sides of the panels to connect to unit and window frame? BEST ANSWER: No, there is only adhesive on one side of each panel. The good thing is you can cut it to fit into the space between the air conditioner and the window frame. Thank you. 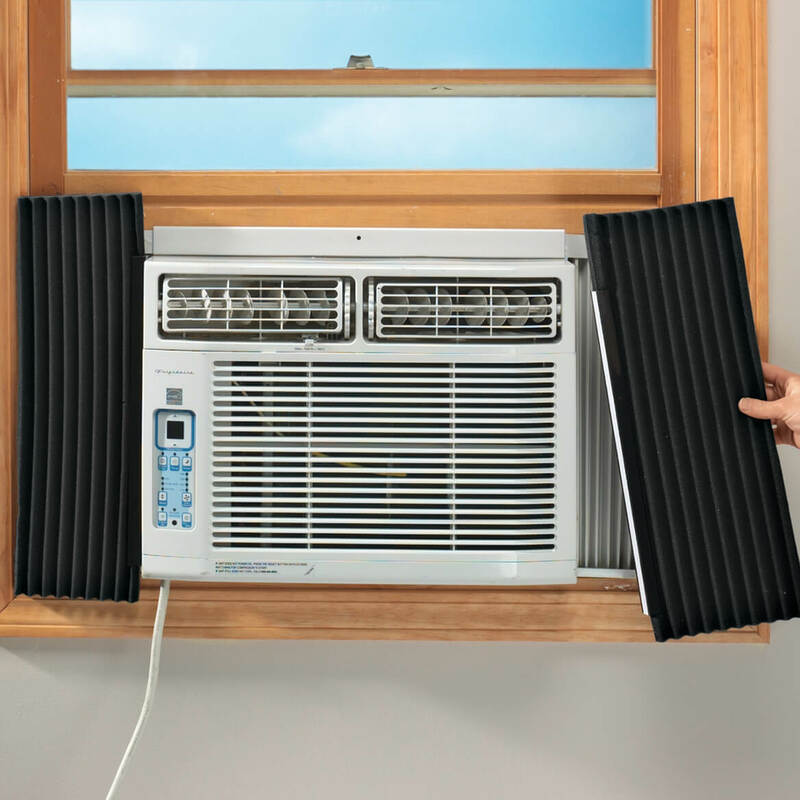 Will it stay all the way to the window frame without the adhesive or is accordion-like and snap back toward the AC unit? No just on the side that goes toward the window frame. They fit quite snug and do not let any bugs in! I love them. The adhesive is only on one side towards the window frame. Will this block out sound? BEST ANSWER: Thank you for your question. The Air Conditioner Side Insulating Panels will protect your home from hot or cold air, humidity, dust and flying insects. We hope this information will be of help to you. cold air! Hope this helps you. do you have Air Conditioner Side Insulating Panels in white color too? BEST ANSWER: Thank you for your question. Unfortunately the insulating panels do not come in any other colors. We hope this information will be of help to you. BEST ANSWER: Thank you for your question. Unfortunately, we were unable to determine what is was you are inquiring about. Please contact us directly at help@wdrake.com with more detail as to how we may be of help to you. We look forward to hearing from you.